Click for names I'm not sure who the groups opposite are, or what the cups are for. If anyone can shed any light, please get in touch! 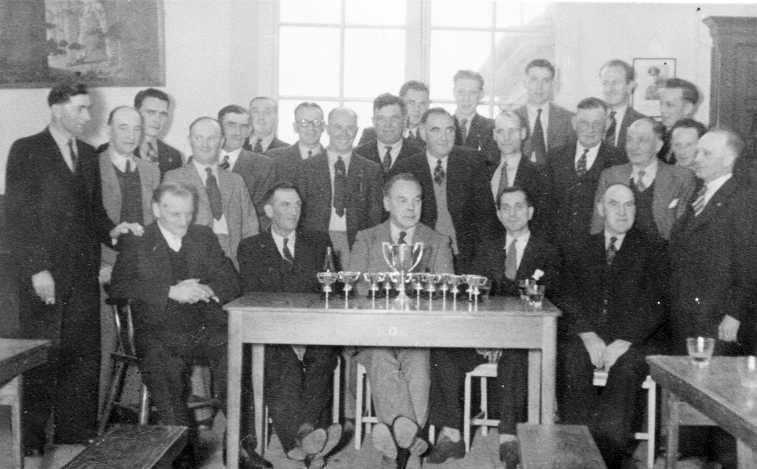 Cottingham, winners of the inter-village whist league pictured at the old school, left to right. Front row (seated): ___ Bradshaw, Sid Coles, Mr Porter (school headmaster), Roly Hammond, Mr Coles (Church warden). 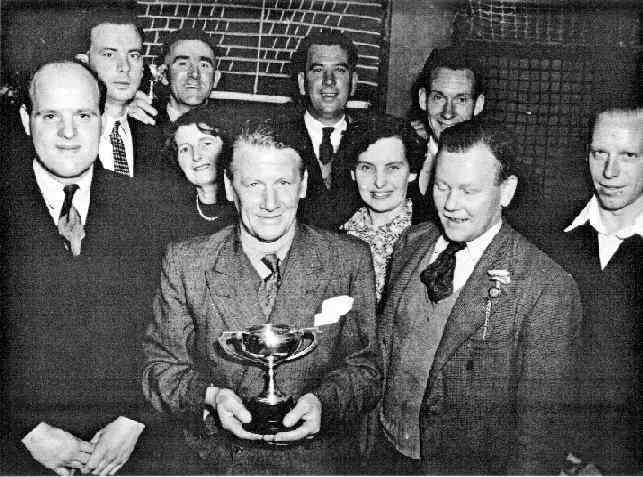 Back row: Jim Claypole, Bertie Broomfield (butler at Bury House), Eric Lawson (mobile greengrocer), Reg Horsley (groom at Bury House and later landlord of The Spread Eagle), Bill Lawson, Mr Pearson, Mr Musson (owned a mobile clothing business - people used to buy from his van, often on the tick! ), Mr Smith (Middleton), Ernie Kirk, Vere Coles, Gerald Barbie, Albert Ansell, ___ Barbie, Herbert Jarman (worked as a chimney sweep as a boy), Fred Bradshaw, Chippy Coles, Les Bradshaw, Les Jackson, Clary Wilson (local bookmaker).